Since 1978, Canaan Christian Academy has been providing quality, Bible-based education, competitive sports, and strong music and art programs. In an ever-changing world with rapid advances in technology, CCA incorporates the kinds of information and learning essential to prepare students for higher education and the adult world. Using the Bible as our standard, we promote not only knowledge and learning, but discipline, character-building, accountability, truth, respect, critical thinking, faith and community. 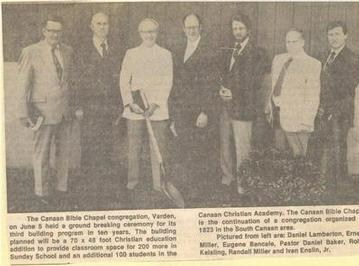 In September of 1978 CCA opened its doors for the first time to sixty-eight students in grades K5-12. 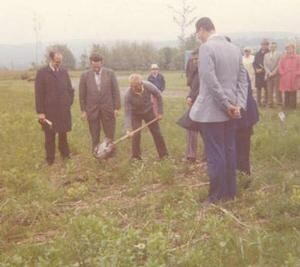 The first senior class graduated in 1979 with one student. In the years that have followed CCA has graduated more than two hundred students. The Academy has endeavored to provide a well rounded, balanced Christian education which includes a rigorous academic program, a competitive sports program, and a strong music program.